Home / Uncategorized / How does the U.S. use its land? 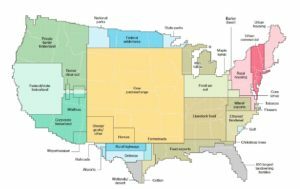 How does the U.S. use its land? 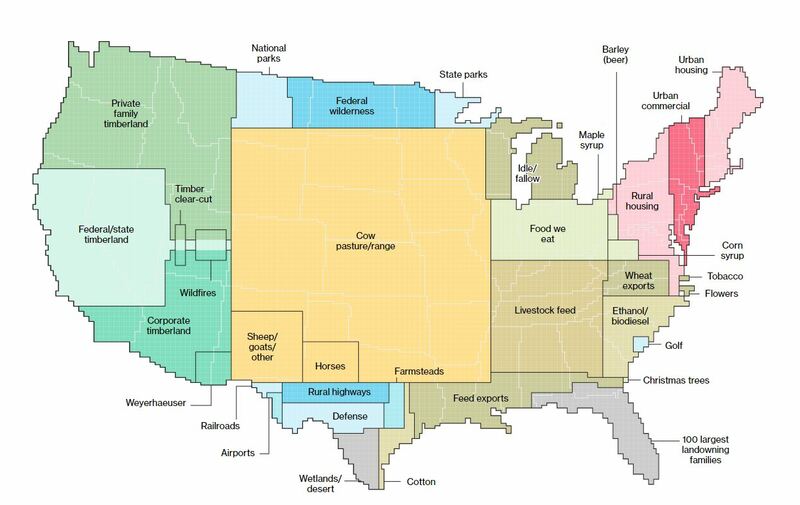 The Bloomberg article Here’s How America Uses Its Land by Dave Merrill and Lauren Leatherby (7/31/2018). The article arrives at the graph copied here and it is worth scrolling through the article to see the graphs along the way with associated facts. In exploring the graph it is interesting to note that maple syrup, highways, and golf courses, are categories big enough to be represented. Also note how much space is for cows. The article has potential to be used in a QL based course. Previous What are the recent Mauna Loa CO2 measurements? 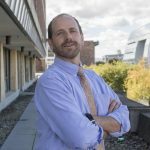 Next How much vacation time do workers get?